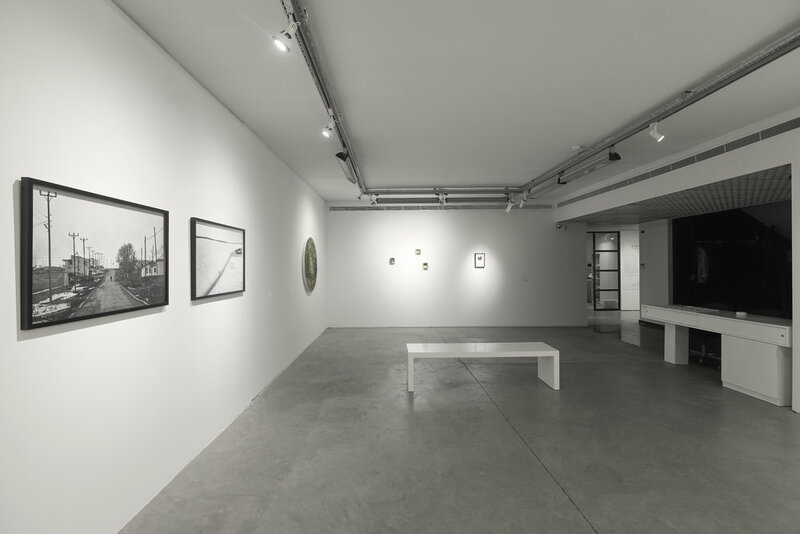 Exhibition artists, takes the walking act as a part of their process and interprets through their own art practices. (1)Agamben, G. (2001). Kutsal İnsan, Egemen İktidar ve Çıplak Hayat (Homo Sacer: Sovereign Power and Bare Life), (Translation:İ. Türkmen). İstanbul: Ayrıntı Yayınları. (2)Durna,T. (2018), Yürümek Politik Bir İştir, İstanbul, Moment Dergi. 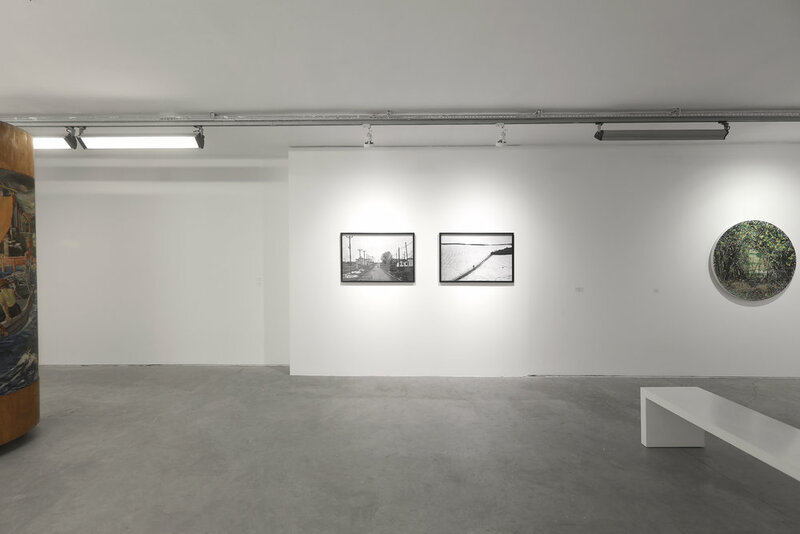 Ahmet Duru forms “Route Series” with the inspiration of the photographs that are taken during his daily walks. In these walks within city and nature, Duru focuses on alternative routes that people have created. The artist takes Chuang Tzu’s quotation “A path is made by walking on it.” as the center of his works. Duru exhibits the unseen side of nature to the audience by discovering different routes from the passages that people constantly walked on and left their traces. 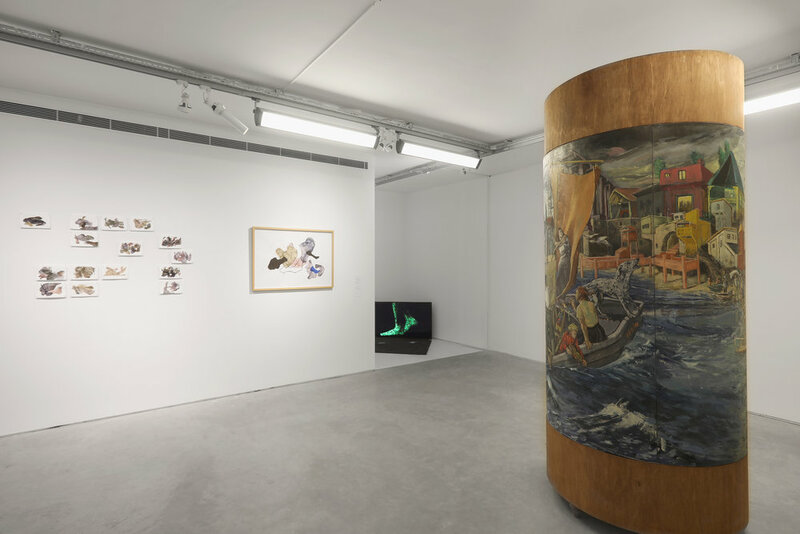 Doğu Özgün’s work “Coast Without Mirror” emphasizes the rejection of social gender roles. The artist’s works can be considered as an uprising against the acceptance of unending social norms. Özgün’s progress on his own intellectual path transforms into an easily exceeded scale like a “walking distance” with adding the last color to the painting. 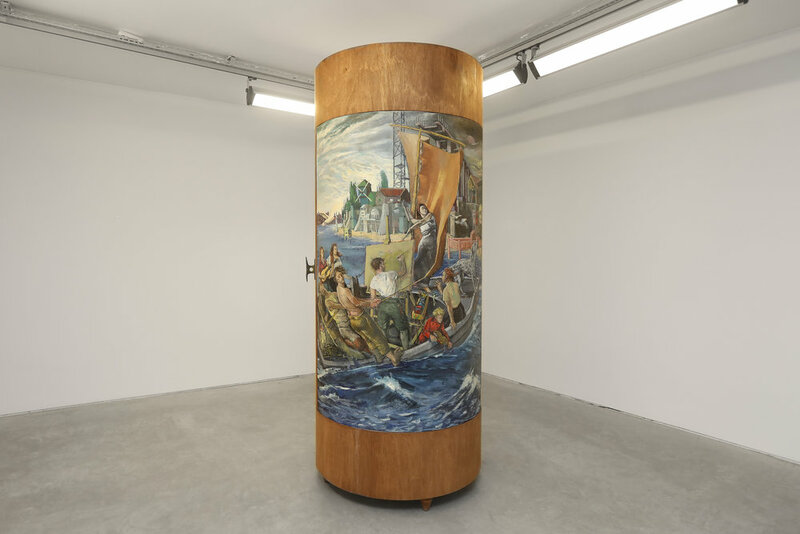 Özgün aims visitors to experience the artwork by walking around the cylinder formed canvas. Cover of the structure is designed to represent the starting point of misfortunes. Emre Baykal, A dreamy journey with no guide, directions or arrival; where internal crowds feud with loneliness; you move from yourself and your inhabitiveness while looking for yourself and your place, you are lost just when you think you have found; when you do not know when it will be over before it is over, you embark without knowing you are on the road, open to being born again, being discovered, confrontations, encounters; on roads that wind down into us, uncanny and desolate, to the end of nothingness. This journey is not about arriving/finding, it is about the process of searching. All the places you arrive mean a new (yet again) setting out, everything that is found is an illusion. Journey is a ‘search’. From an anthropological point of view, standing on both feet and walking which are considered as one of the first revolutions of men, increases the capacity of our visual and tactile senses whilst making our face and hands free. Ozan Atalan’s “Barefoot Walker” installation creates an alternative reality where the soil as one of the main elements of life unites with the digital age that has been reached after a long walk. 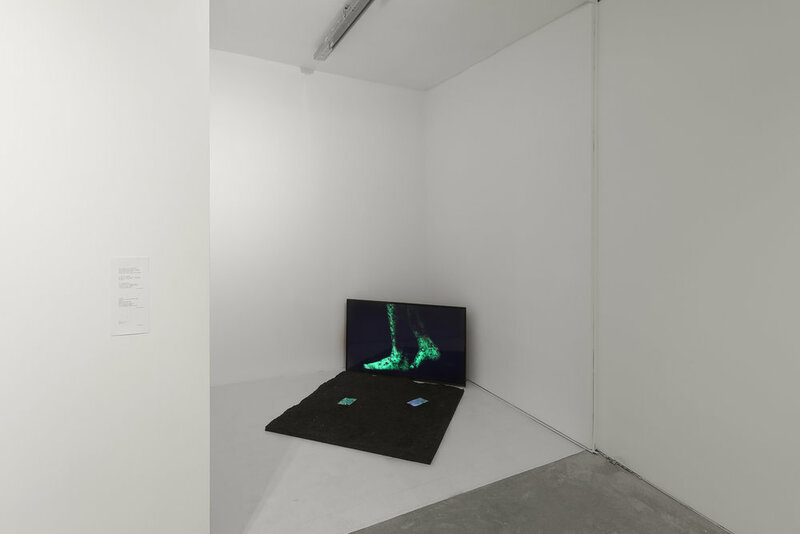 By connecting the digital representation and the material reality of soil to the act of walking, the artist interrogates the negative effects of digital technologies on our perception of physical reality and the sense of fiction. “Fermata” a watercolor series by Umut Toros is abstracted versions of images from nature that draws artist’s attention during his random walks. 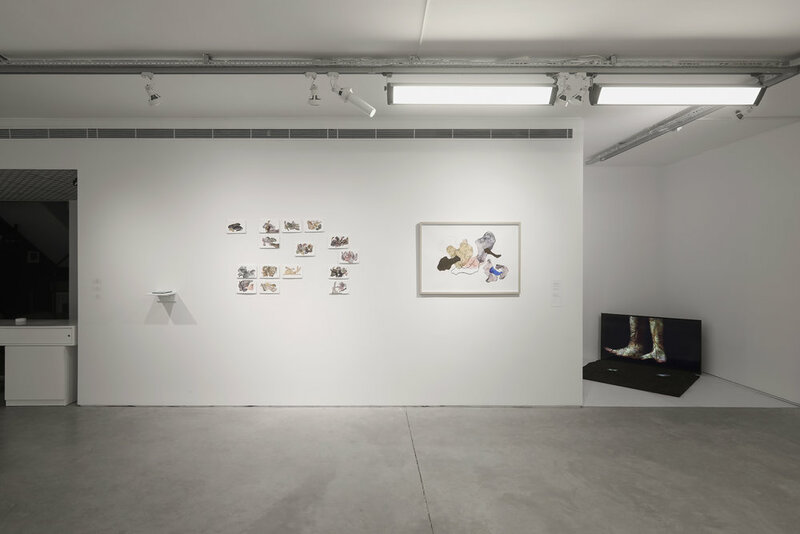 The artist, who believes that it is more important to perform the ‘walking’ action than the distance traveled, questions this dilemma during his journey.